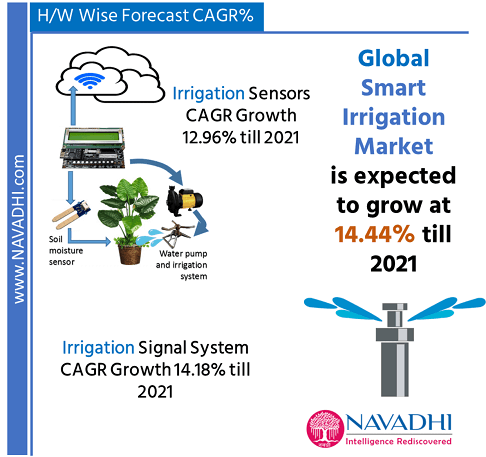 Increasing government initiatives to promote water conservation, expanding farming operations cost and growing importance to increase farm profit by utilizing automated irrigation solutions are the primary factors drive the growth of global smart irrigation market. Additionally, increasing research and development investment for developing reliable irrigation scheduling solution, growing interest on developing smart irrigation solution using internet of things (IoT) and continuous advancement in sensing and monitoring technologies, accelerated the growth of global smart irrigation market. 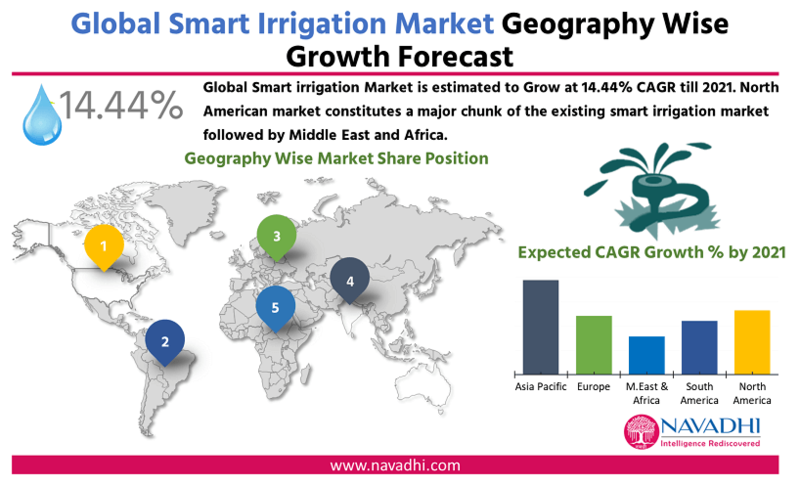 However, lack, of awareness regarding the potential benefits of smart irrigation solution and high implementation cost are the factor identified as the restraints likely to deter the progression of global smart irrigation market. 7.1.1 Libelium Comunicaciones Distribuidas S.L. 7.1.9.3 Financial Performance of Valmont Industries Inc.
7.1.9.5 SWOT Analysis for Valmont Industries Inc.
Exhibit 7.76 Company Profile – Valmont Industries Inc.
Exhibit 7.77 Contact Details – Valmont Industries Inc.
Exhibit 7.83 Major Products and Services of Valmont Industries Inc.
Exhibit 7.84 SWOT Analysis of Valmont Industries Inc.